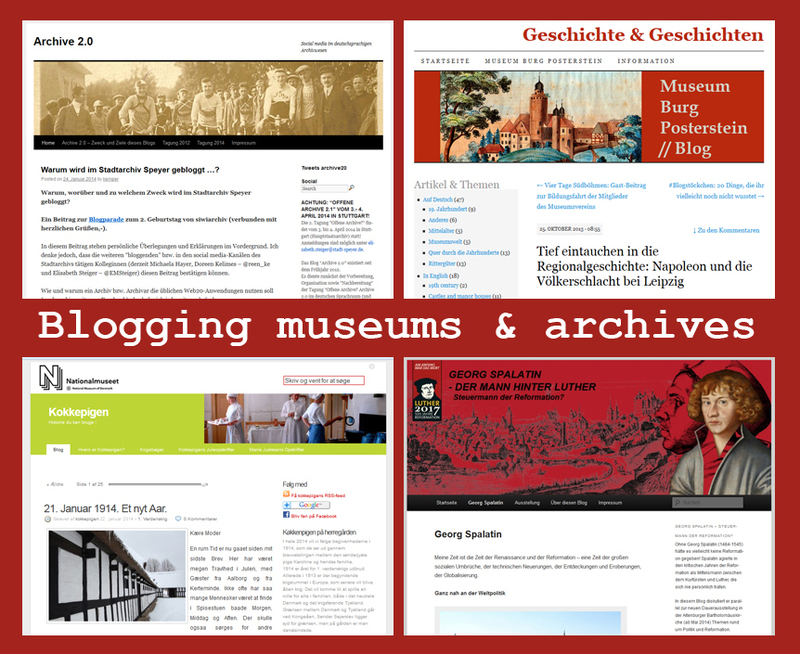 On the occasion of the two-year’s birthday of their blog the German archives in the county of Siegen-Wittgenstein started a so-called “blog-parade” and asked other bloggers to come with their ideas why archives should write blogs. I want to discuss the subject a bit broader, because I think the same reasons apply to museums and galleries, too. During the workshop eCult workshop in January 2014 in Hamburg I had interesting Twitter discussions with @WWecker, @nat_merkel and @Blickeinsatz. – Here I want to use some quotes to illustrate my points. There are many interesting blogs, written and / or published by museums and archives out there. I have seen blogs that tell work-related stories from behind the scenes (like the Danish open air museum Den Gamle By’s blog, where you for example can read about the work behind cleaning old candelabra). 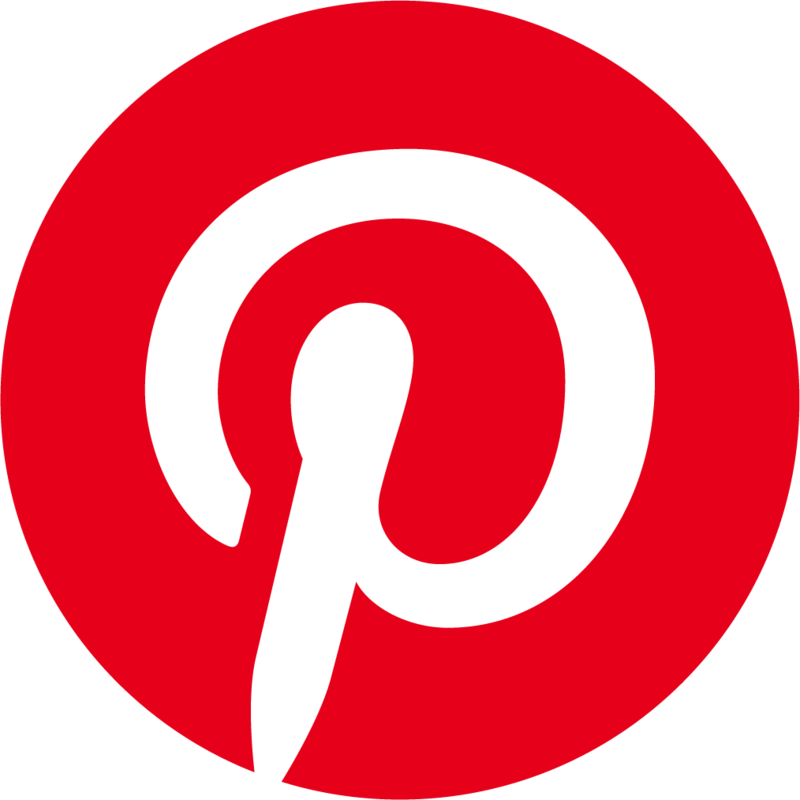 At the same time there are blogs that mainly promote the museum’s or archive’s latest news, exhibitions and events (e.g. Grassi Museum Leipzig and also archives in the county of Siegen-Wittgenstein). Especially I like those doing interviews with artists and background stories, e.g. German Kunsthalle Bremen. Other blogs mainly focus on timeless historical stories, related to research work and collection (e.g. German Museum Burg Posterstein). Sometimes it can be good to start a separate blog on a long-term museum project, like an archaeological excavation (seen at Danish Moesgaard Museum, the last post dates may 2011). – However, I think such “project blogs” should be continued in other ways after finishing the long-term project, instead of just dropping the readers (and all the work which probably was needed to establish the blog). Another approach is to tell stories from the past through the voice of a (possibly fictive) historical person – seen at the Danish Nationalmuseum in Copenhagen, where a scullery-maid describes her daily life in letters to her mother; and from time to time she adds historical recipes as well. In German Altenburg a blog, written by Luther’s good friend Spalatin, accompanies two exhibitions on reformation and politics. The town archive in German Speyer published in 2012 original hand-written pages from the farmer Johann Michael Beutelspacher 1795-1821, which authentically illustrate normal people’s daily life in this time. 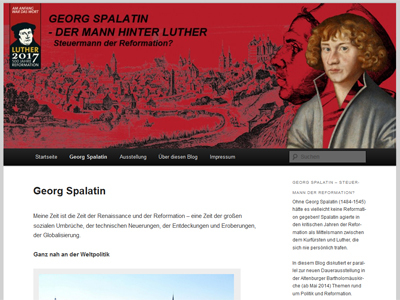 In German Altenburg 2014 two exhibitions on the reformation and politics are going to be accompanied by a blog, “written” by Martin Luther’s good friend Georg Spalatin (accompanied by a Facebook page). The archives in Speyer are starting a blog “Erinnern in Speyer 1933-1945” right now, that accompanies a series of events. 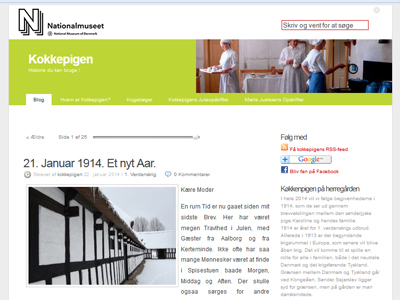 Screenshot of the blog of Danish National Museum, where a scullery maid writes fictive letters in the year 1914 – the year, where World War I started..
Two of the main functions of museums and archives is to conserve and share knowledge. Who says, that this has to be exclusively offline? With the help of blogs, museums and archives can get a broader audience and share their knowledge on history. At the same time, there is a chance to generate more “offline” visitors, as well, and to sell more catalogues and books via internet (as Museum Burg Posterstein lately pointed out in an interview). The archive of Speyer has good experiences with getting more attention of local newspapers through their blog. Many good reasons for museums to be active in the WWW gives Sebastian Hartmann in his blog “Museum & Social Media” (in German). When archives or museums want to start blogging, it is important to have a concrete concept and to know, what to write about to which audience. Probably it would be good to focus on specific subjects or give them different categories (e.g. news, history, exhibitions, …). Blog posts should be nicely – rather journalistically than scientifically – written and telling interesting stories. Furthermore I think it is important to tell the audience, who actually is blogging (a good example: Historisches Museum Frankfurt). If you can, host the blog on the museum’s or archive’s webpage to generate more traffic. If this is not possible, remember to link clearly to the web page. And last but not least: Communicate! Blogs should not be seen as one-way-channels. 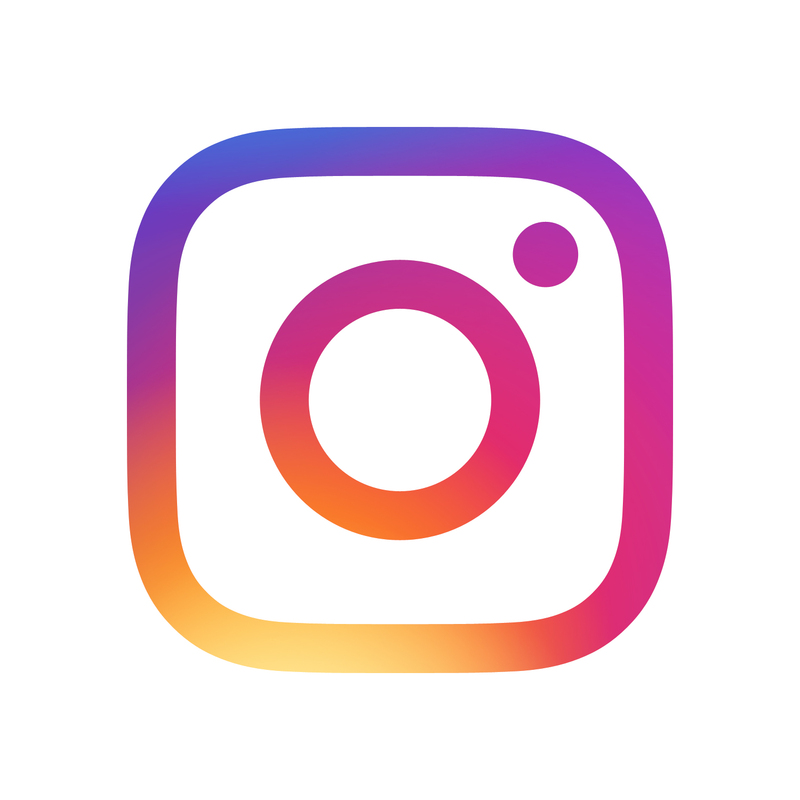 That is why it is important to answer comments quickly, discuss posts in social media channels and eventually take part in blog actions like blog parades. Please leave a comment if you know some more lists!